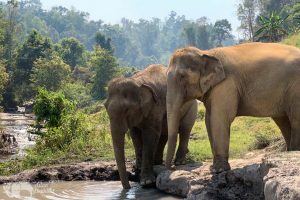 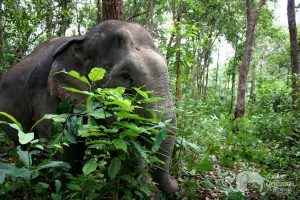 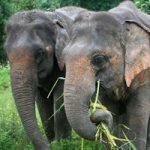 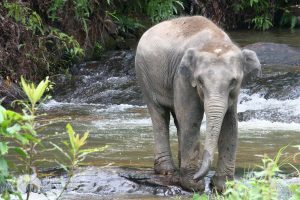 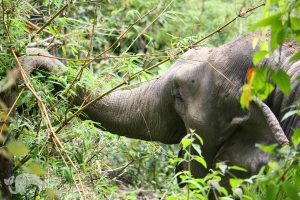 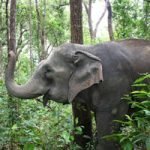 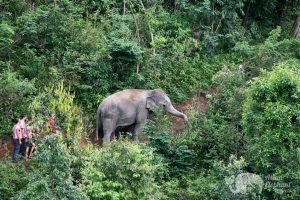 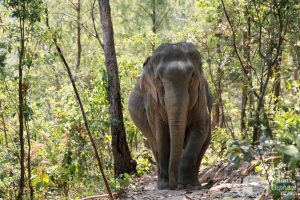 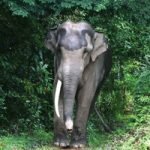 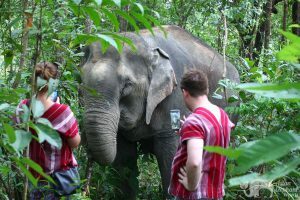 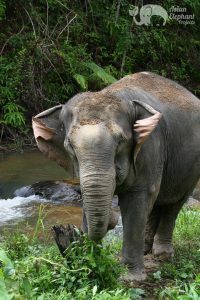 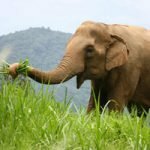 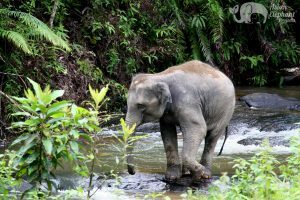 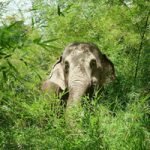 This ethical elephant tour south of Chiang Mai is situated in a remote forested region accessible by 4WD and offers an eco-friendly experience with elephants in a small group, accompanied by a qualified tour guide. 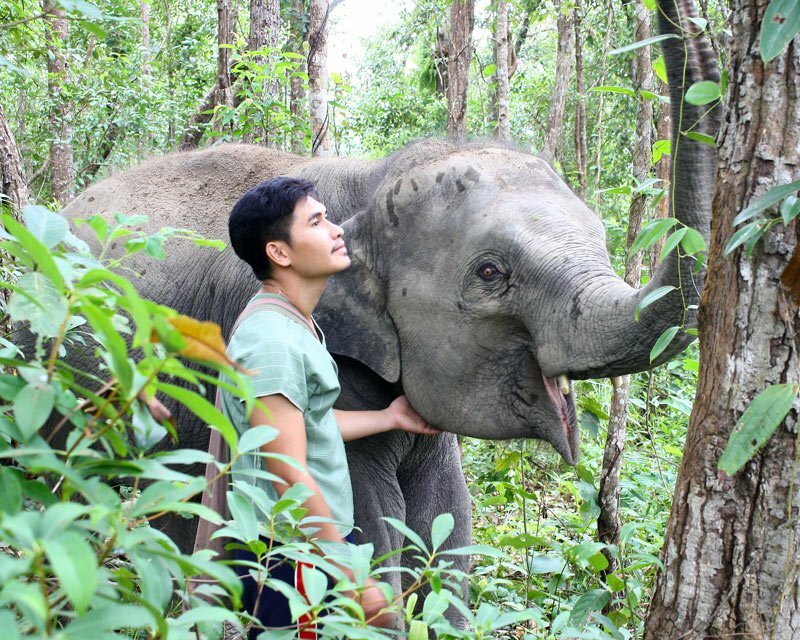 The project is run by Karen people, renowned for their centuries-old tradition of living and working with elephants. 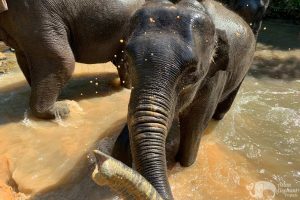 In the past, the elephants used to work giving rides and performing in shows, but are now appreciating their new life, spending much of the day eating, playing in the mud together, and bathing in the stream. After dressing in traditional Karen clothing, get to know the elephants while feeding them seasonal fruit and vegetables, followed by an uphill walk together along mountainside jungle trails. A highlight of this tour is quietly observing the elephants foraging on the native plants in their jungle habitat. 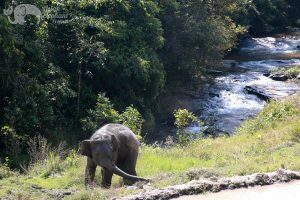 When you return from your trek, a delicious vegetarian buffet lunch made using organic vegetables grown on site will be waiting for you; served overlooking the valley and the cascading stream below. 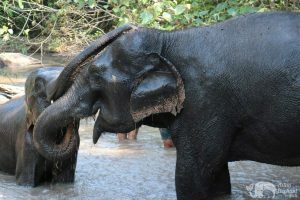 Afterwards, guests take a short stroll to a cascading stream where you can bathe the elephants and later watch them take a mud bath. 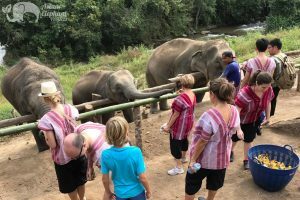 The program for this elephant tour is designed to create a non-stressful environment for the elephants with an emphasis on letting them have time to forage, interact, and relax while guests have an experience they will never forget. 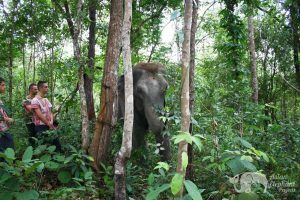 Travel Details: Transfer from an air-con minivan to a 4WD pickup for the last 10-15 minutes of your journey to the project. What to Bring: Hat, sunscreen, sandals/flip flops, walking shoes, change of clothing (as you may get muddy or wet), towel, camera & insect repellent. 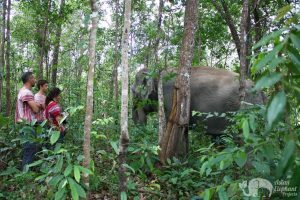 This project can be very muddy so a change of clothing and footwear is essential. 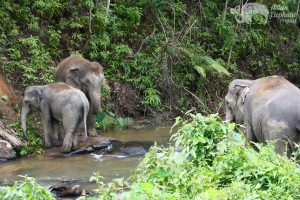 Fitness Level: Moderate – walking in mountainous jungle terrain, with muddy slopes in the rainy season for about 1.5-2 hours. Topography: Jungle, mountains, river & waterfall. 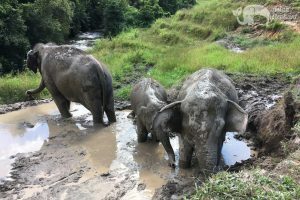 When the owner, Toy, heard about the ‘Saddle Off’ program he became interested and decided to join in October 2017 to provide a better life for his elephants. 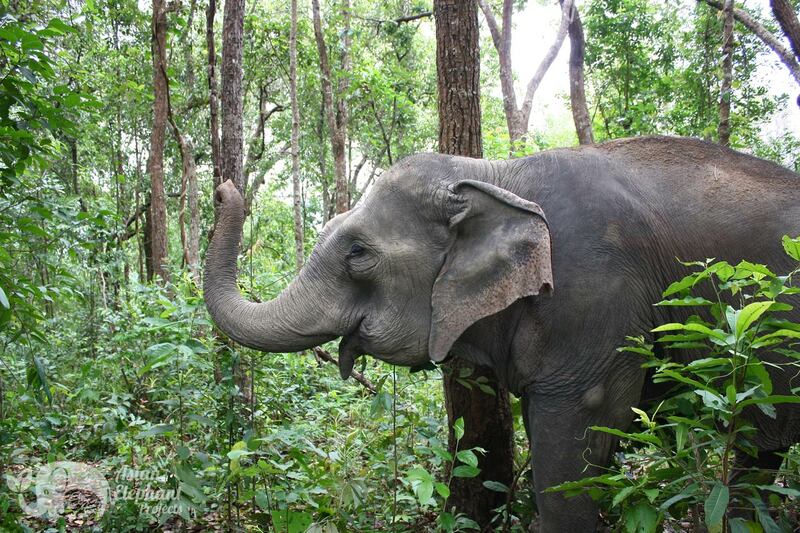 Toy grew up around elephants and understands their nature well. 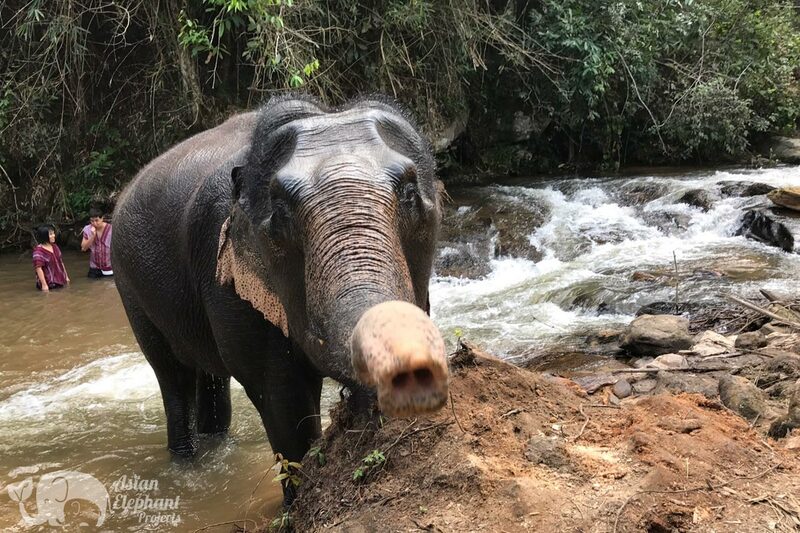 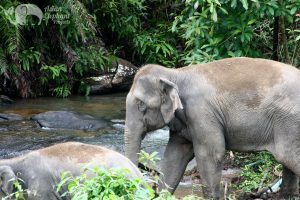 There are three female elephants at this project, who are enjoying the new lives with time to forage in the jungle and play in the mud pit and bathe in the stream. 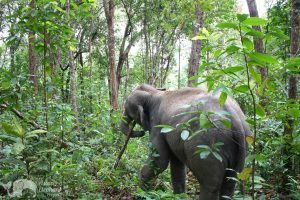 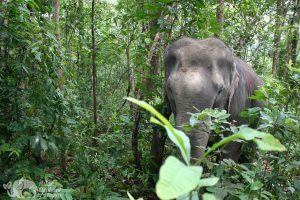 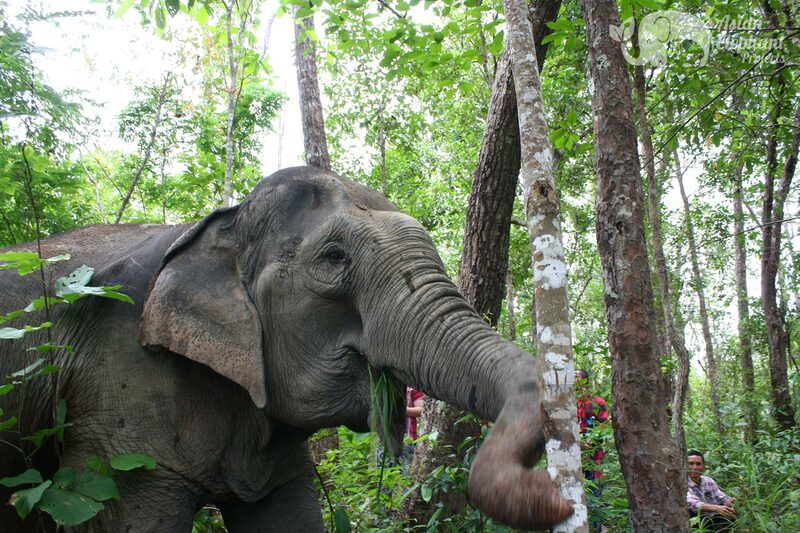 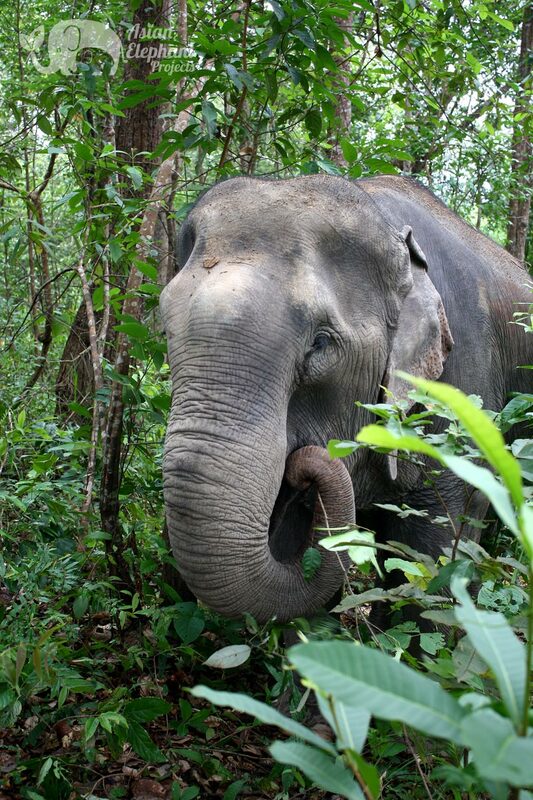 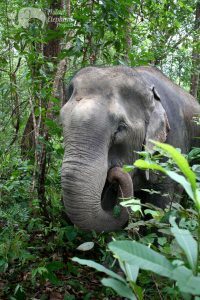 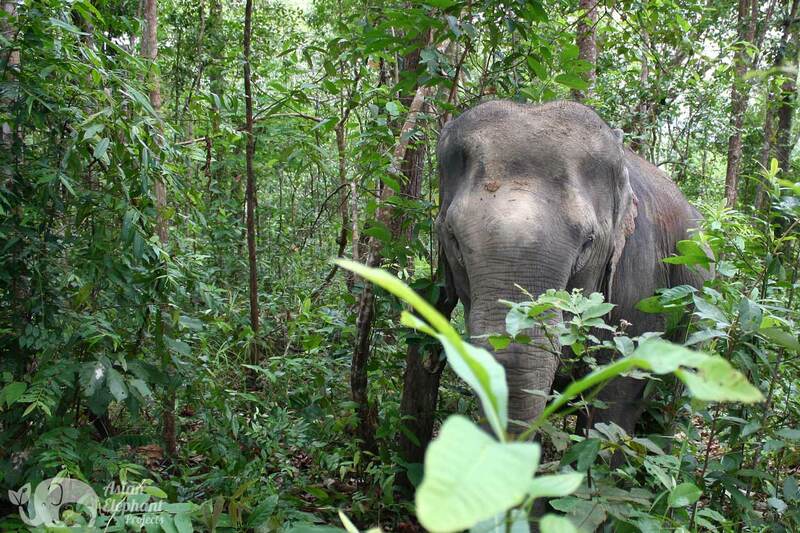 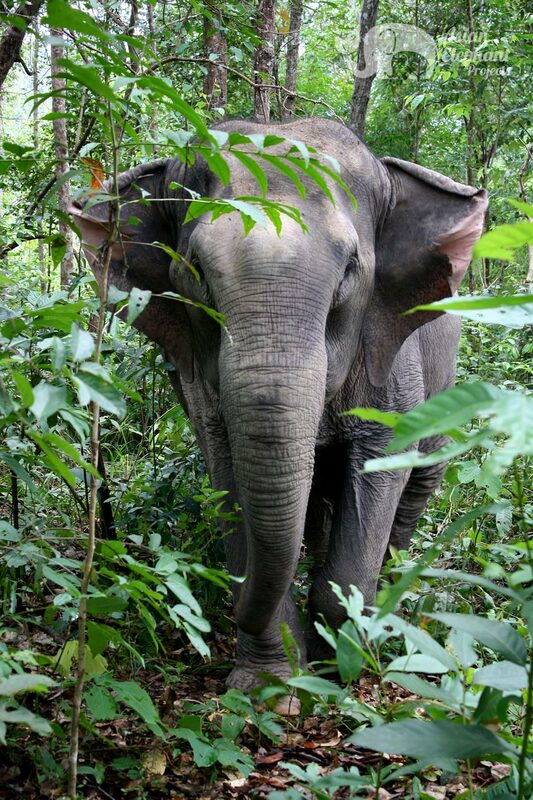 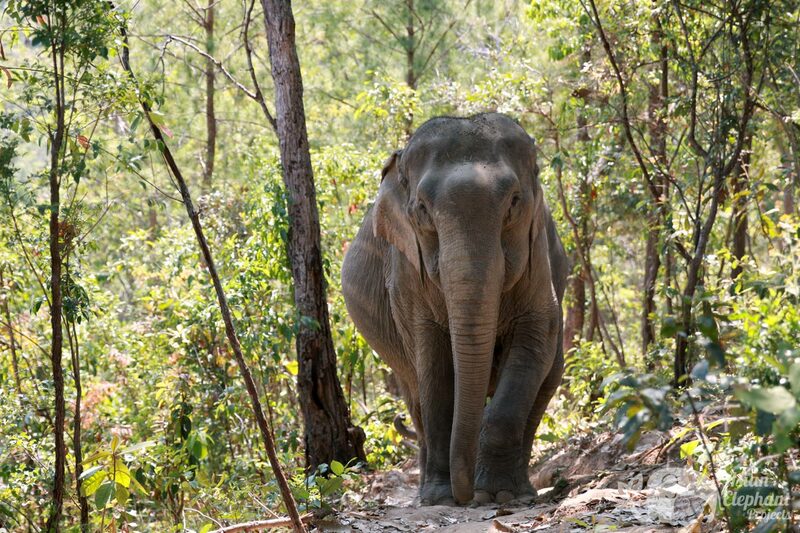 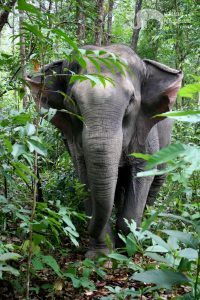 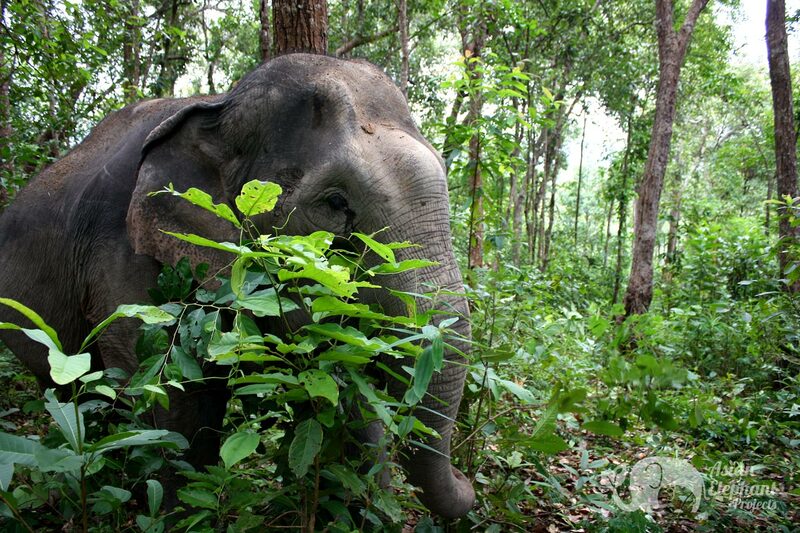 Toy is happy to see the elephants under his care living in their jungle home - freed from riding and shows. 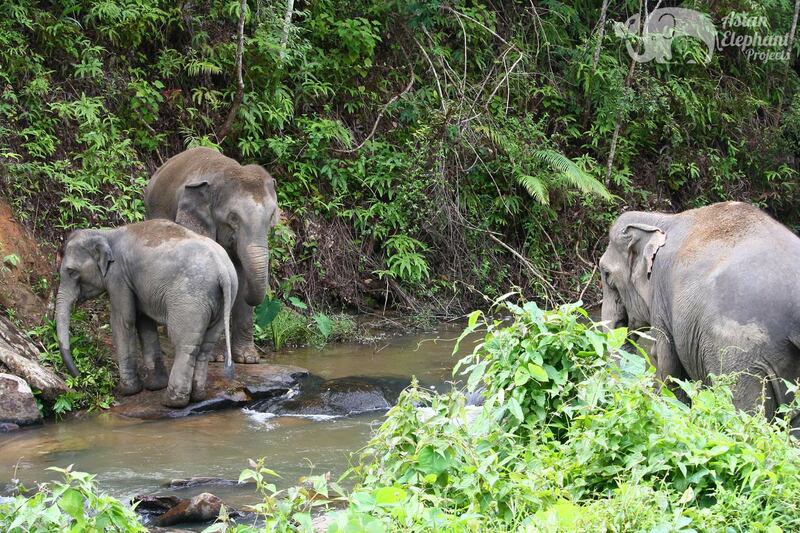 Since their retirement, they now have time to interact freely with each other and recover their natural instincts. The elephants are more relaxed, have gained weight, and the condition of their skin has noticeably improved. Toy has been inspired by the ecotourism movement with travelers choosing to observe elephants in their jungle habitat. 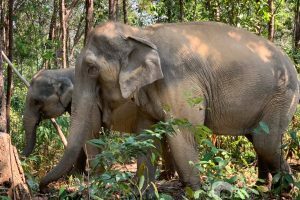 The Karen family farms pumpkins, elephant grass, and bananas, in addition to purchasing corn stalks and other food from local farmers to make sure that the elephants are well provided for. This was the highlight of my vacation in Thailand. 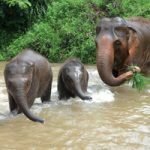 A hands on day with a small herd of elephants, feeding them, playing with them, going on a forest hike with them, and bathing in mud and a river with them. 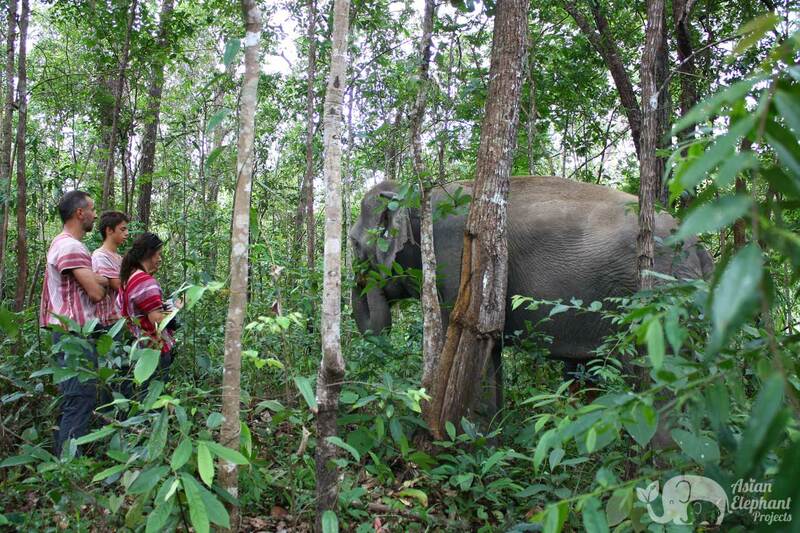 This is an ethical preserve where the elephants are not chained, ridden, or forced to do tricks. 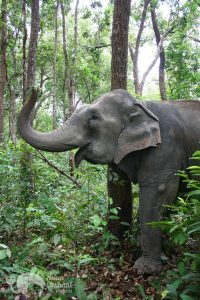 The elephants roam the preserve freely. 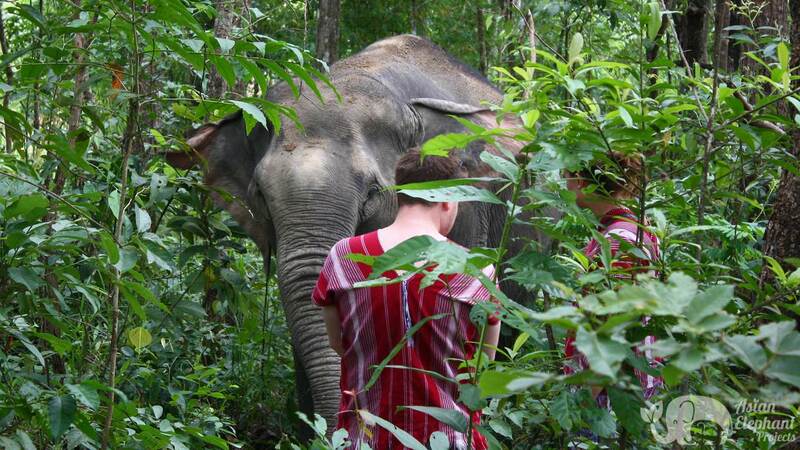 An incredible, intimate experience with 3 elephants. The baby elephant is 6 years old and so sweet. 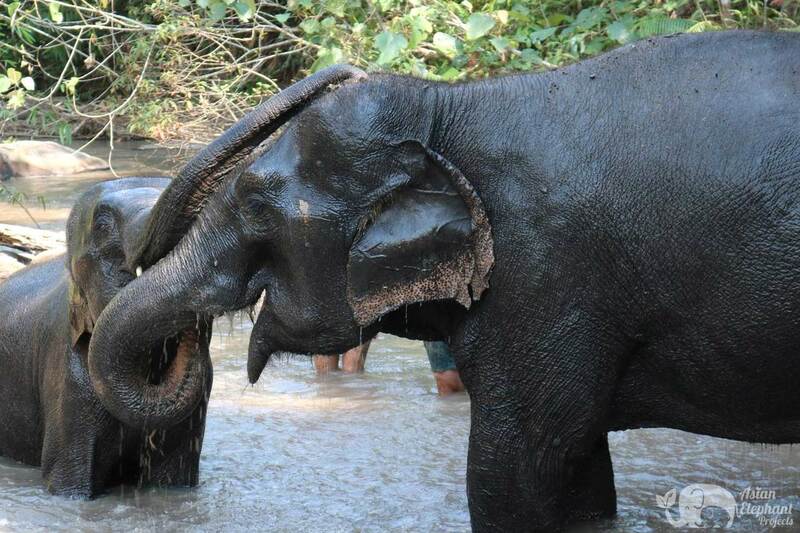 We fed the elephants multiple times, walked with them, took a mud bath with them and swam in the river with them. 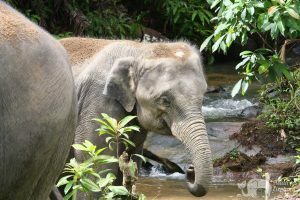 The lunch buffet was absolutely delicious and the staff was friendly and helpful. 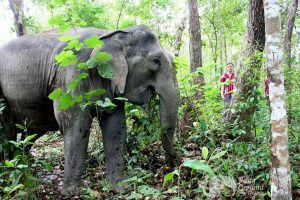 We learned so much about the ethical treatment of elephants, their lives in Thailand and Karen culture. 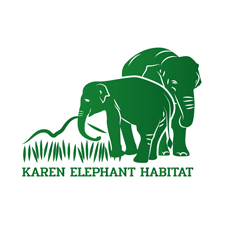 I could not recommend Karen Elephant Habitat more! 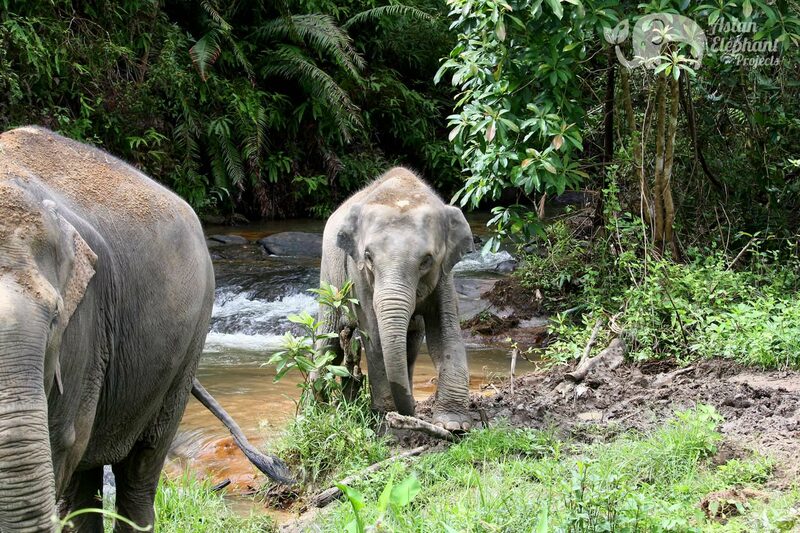 This place is great and the elephants are truly happy.